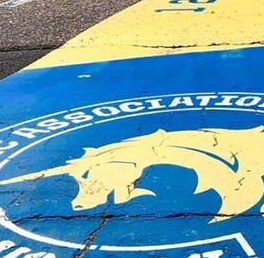 It’s nearly here, the 123rd running of the Boston Marathon and the 5th race in the Abbott World Marathon Majors Series XII takes place on Monday 5th April 2019. If you want to watch it, and you should, a list of international broadcasters can be found here. Whilst it hasn’t been officially announced yet, it’s likely that in the UK the BBC will stream international coverage of it on their Red Button and at https://www.bbc.co.uk/sport/live/. Shalane Flanagan will cover the race with the WBZ-TV team so I’m desperately hoping that the BBC’s coverage comes via them. If you want a great preview to listen to, check out House of Run’s podcast. It’s informative and hilarious because of the way that the idea of Degefa as a winner is mocked because of her Dubai-only marathon history. I’ve put together my usual spreadsheet of joy here which has the full data on each elite runner : PB, PB year, PB location, Age, IAAF link, social media links, brief comments. Check it out and share away! (Shalane Flanagan, you’re welcome). I’ll update it afterwards comparing results to pre-race rankings and PBs. Last year's most interviewed runner at Boston perhaps? The nurse who sort of came from nowhere to come 2nd os back for more and to show that it wasn't a fluke. Sarah has been training hard as always and ran a small PR at New York Half recently. I'll be excited to see how she goes. She says herself that last year she felt like an imposter on the start line. This year she's legit. She bumped into 2015 winner Caronline Rotich the other day! PB was set winning the Paris marathon last year. It's on the day before Boston though so she isn't returning to defend her title.Says on insta "Made it safe to Boston, as for now it’s time to go check the course, been debating but I think it’s good to look that way I will not be lost not knowing where the race is heading" (I'm pretty sure others will have scouted the course plenty! A reminder of last year’s top 10 is here only Linden (1st), Sellers (2nd), Duchene (3rd) and Kiplagat (9th) from this year’s elite list feature in last year’s top 10. 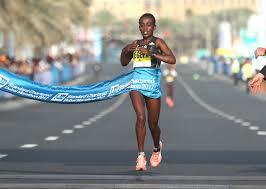 5 Meskerem Assefa 33 ETH 2:20:36 Frankfurt 2018 https://www.iaaf.org/athletes/ethiopia/meskerem-assefa-184494 With on of the more recent PBs and some marathon wins recently includinf that Frankfurt PB where she set a course record. 9 Desiree Linden 35 USA 2:22:38 (Boston, 2011) Boston 2011 https://www.iaaf.org/athletes/united-states/desiree-linden-228004 https://twitter.com/des_linden https://www.instagram.com/des_linden/?hl=en What can we say? I'm sure you've read it all. 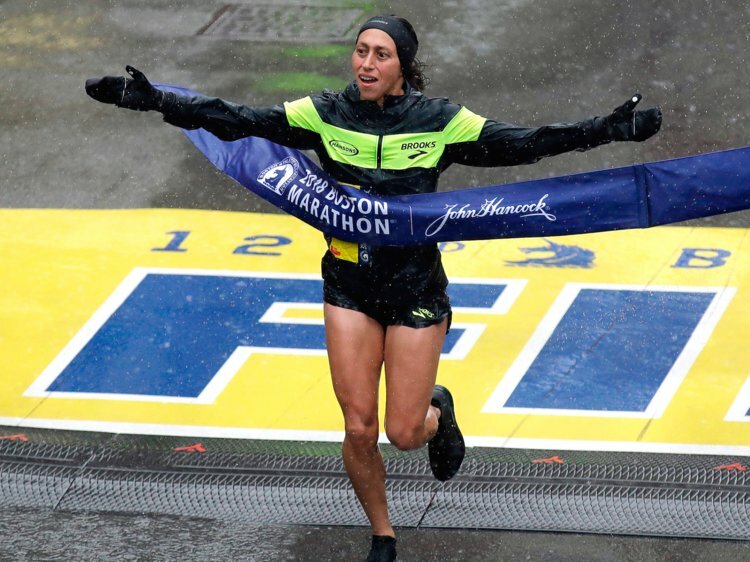 She won Boston in those horrific conditions. Since then she's changed coach, placed 6th in a good field at NY half and had the year of her life. I'd LOVE her to win in good conditions. It is however unusual for Boston winners to make a repeat performance. 11 Betsy Saina 30 Kenya 2:22:56 (Paris, 2018) Paris 2018 https://www.iaaf.org/athletes/kenya/betsy-saina-257202 https://www.instagram.com/sainabetsy PB was set winning the Paris marathon last year. It's on the day before Boston though so she isn't returning to defend her title.Says on insta "Made it safe to Boston, as for now it's time to go check the course, been debating but I think it's good to look that way I will not be lost not knowing where the race is heading" (I'm pretty sure others will have scouted the course plenty! 12 Caroline Rotich 34 KEN 2:23:22 (Chicago, 2012) Chicago 2012 https://www.iaaf.org/athletes/kenya/caroline-rotich-250396 https://twitter.com/ccrotich?lang=en Won Boston in 2015 when the weather was "Rain; winds gusting up to 15 mph; temperatures in the mid 40s" according to the 'noteable weather' section of the BAA website. 13 Sara Hall 35 USA 2:26:20 (Ottawa, 2018) Ottowa 2018 https://www.iaaf.org/athletes/united-states/sara-hall-188211 https://twitter.com/SaraHall3 https://www.instagram.com/sarahall3/? Coached by her husband, she has a recent PB which is a good sign. She has had some injury issues though and comments on twitter "Days have been ticking by slowly as this is the longest stretch I've ever gone w/out racing. I'm trying to bottle up all my competitive energy— can't wait to pop the cork on Patriot's Day!" 18 Lindsay Flanagan 28 USA 2:29:25 Frankfurt 2018 https://www.iaaf.org/athletes/united-states/lindsay-flanagan-270404 https://twitter.com/lflanagan242 https://www.instagram.com/lflanagan2/ From Boulder, colorado with a recent B and 13th place in Frankfurt and on the younger end of the field. 21 Sarah Sellers 27 USA 2:36:37 New York 2018 https://www.iaaf.org/athletes/united-states/sarah-sellers-256217 https://twitter.com/sarahwhosellers https://www.instagram.com/sarah_sellers Last year's most interviewed runner at Boston perhaps? The nurse who sort of came from nowhere to come 2nd os back for more and to show that it wasn't a fluke. Sarah has been training hard as always and ran a small PR at New York Half recently. I'll be excited to see how she goes. She says herself that last year she felt like an imposter on the start line. This year she's legit. She bumped into 2015 winner Caronline Rotich the other day! 22 Mary Wacera 30 KEN 66:29 (half) Houston 2016 https://www.iaaf.org/athletes/kenya/mary-wacera-ngugi-227178 https://www.instagram.com/maryngugi/ Nike athlete, World Champs Silver Medalist at the half. Her half PB is an American-soil half marathon record. She's run the 10k at Boston before but this is her first full marathon. She is the widow of Samuel Wanjiru, the 2008 Olympic champion in the marathon, and had a daughter with him in 2010.